Love your cute card. What an adorable penguin ! 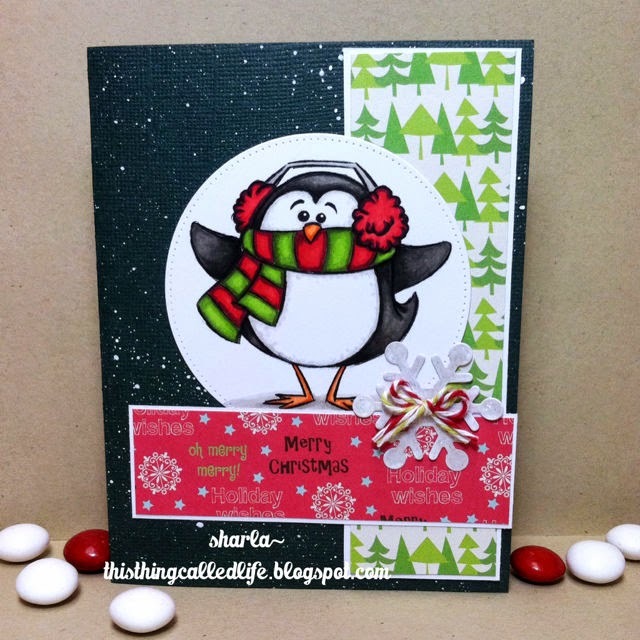 This is so cute - that penguin is coloured beautifully. Super cute card Sharla. The penguin is so sweet. I still love seeing the classic red and green together on Christmas cards. Thanks for playing along with the sketch part of our challenge at Your Next Stamp.